If it happens so you need to vacate rented premises on short notice, do not panic. There are a lot of things that you have to deal with, but you can manage it. The end of tenancy cleaning is an absolute must because only once it is handled properly you will be able to receive a refund on your rental deposit. You can use the money, so do not cut corners. If you do not feel like you will be able to do the job right due to the limited time you have on your hands, try out some of the following tips. The easiest way to conduct a deep moving out cleaning at the premises you are renting is to do it once you have packed your boxes and moved them out of the property. If that is not possible – after all, we are talking about a project conducted when time is pressing and not a commodity you have to spare, at least box your stuff, so that you can move around with more ease using the vacuum cleaner and other supplies. There is no need to bother yourself with cleaning when you have much more urgent matters on your hands. 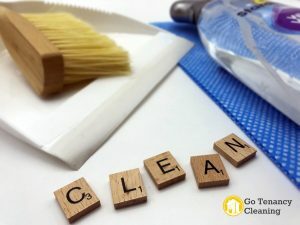 Even in the case when your contract specifically states that you can conduct the end of tenancy cleaning on your own, it might be a good idea to delegate this rather responsible job to a professional contractor. Hire a local company. For example, if you live in Cockfosters EN4, look for cheap end of tenancy cleaning in Cockfosters EN4. The money you pay will be less than the ones you get from your security deposit, and you will be saving precious time and energy. So it will all be worth it for sure. When cleaning the property for the last time, you will have to focus your attention to a few areas that require immediate attention – high traffic areas, upholstery, carpets, curtains, kitchen appliances (the fridge and the oven specifically). You can achieve the results you and your landlord are hoping for only if you have the right tools by your side – so a trip to the store might be necessary. Just make sure that you have everything necessary before you start to avoid wasting time that you don’t have.